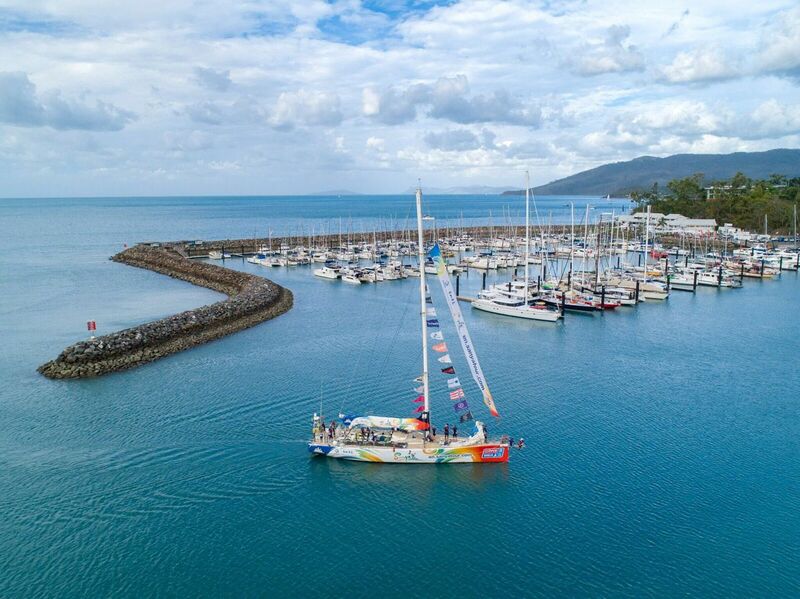 The Clipper Round the World Race teams have left the east coast of Australia in a Le Mans-style start, after a well-earned break at Abell Point Marina in the Whitsundays. The well-travelled one-design fleet has set off on Leg 5 of the biennial race that saw it depart Liverpool, England, on 20 August 2017. They made landfall at Abell Point Marina on 17 January, days later than expected due to tricky wind conditions. 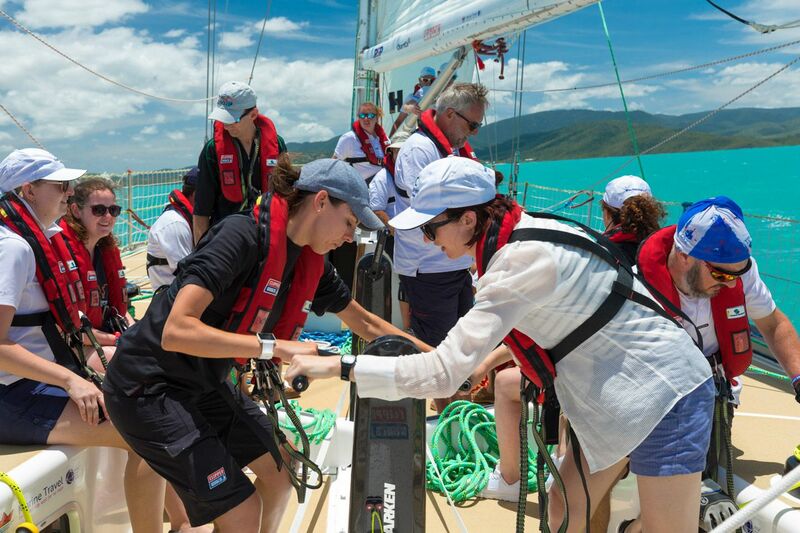 The order of the start was decided in a short course race off the coast of Airlie Beach, after the fleet’s Slipping Lines Ceremony and a Parade of Sail. 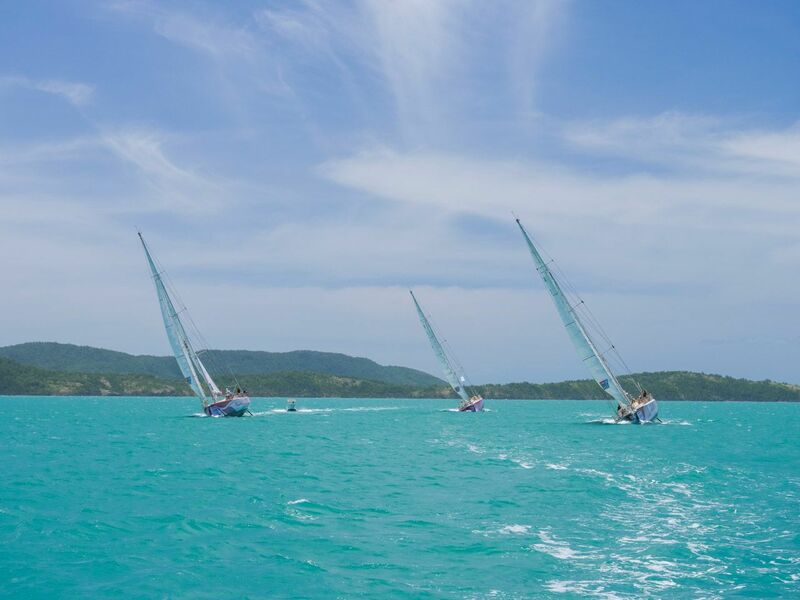 This is only the second time in the race’s 21-year history that it has stopped in Airlie Beach, which has fast become one of the highlights for the sailors. Other ports visited so far are Punta del Este in Uruguay, Cape Town, Fremantle, Sydney and Hobart. 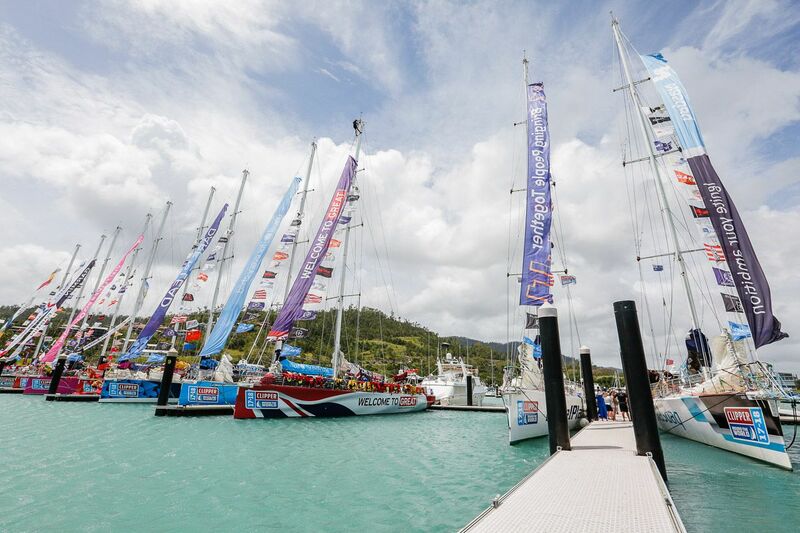 The fleet’s stay from 17–29 January provided an extraordinary boost for the local tourism industry, with Clipper Race organisers, local councillors, Tourism Whitsundays and the marina coming together to host an array of events over the two weeks, drawing local and international guests alike. The Clipper Race fleet made Abell Point Marina their home for almost two weeks. One of the third-generation 70-foot Clipper fleet entering Abell Point Marina. 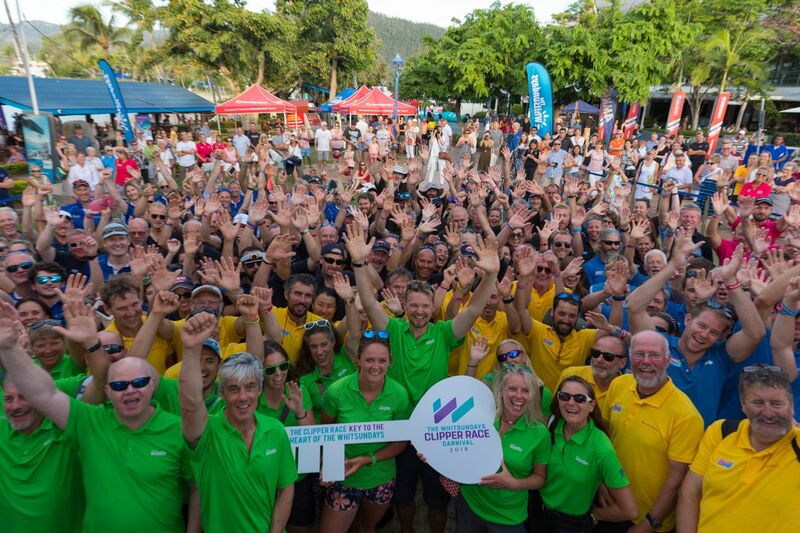 The Clipper Race sailors were given a key to Airlie Beach at the welcome party. 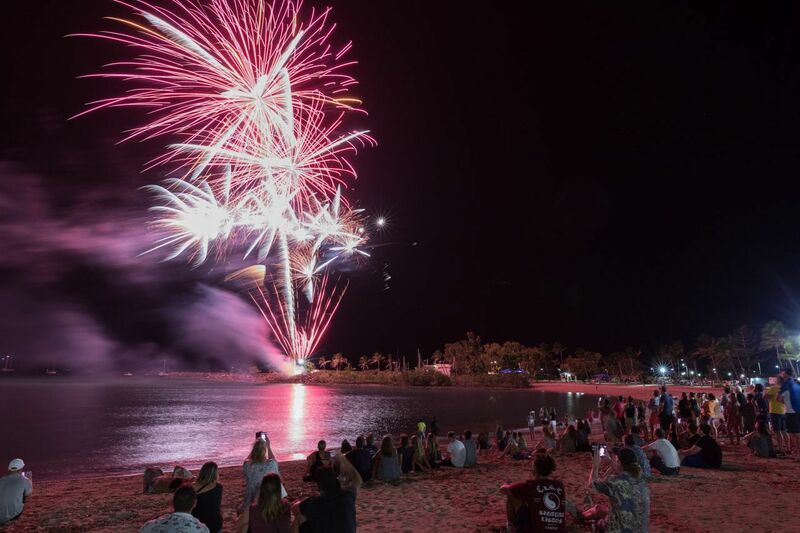 Airlie Beach came together to welcome the Clipper fleet with concerts, festivities and fireworks. 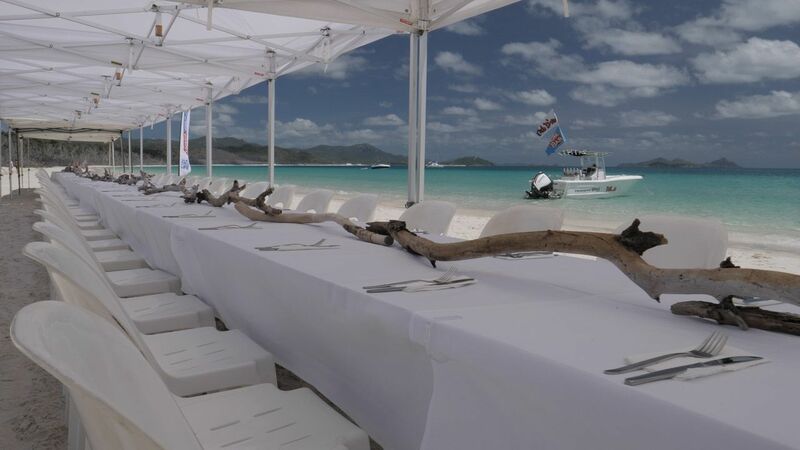 White on Whitehaven champagne luncheon was just one of the events organised as part of the Clipper Carnival. 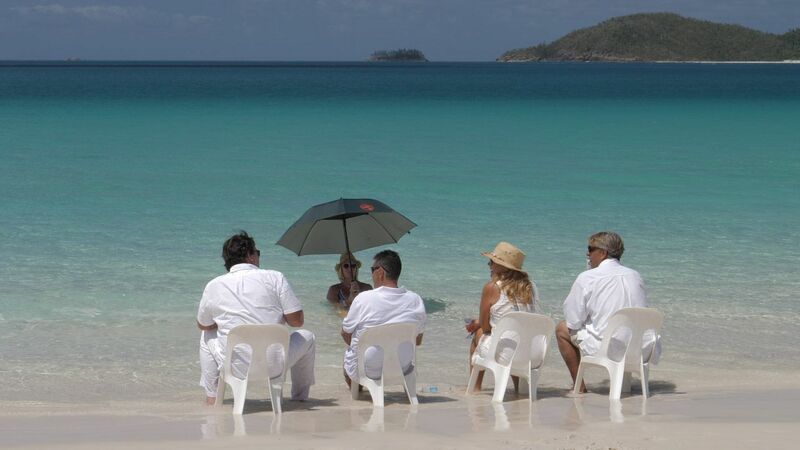 Clipper competitors, guests and supporters relax on Whitehaven Beach. 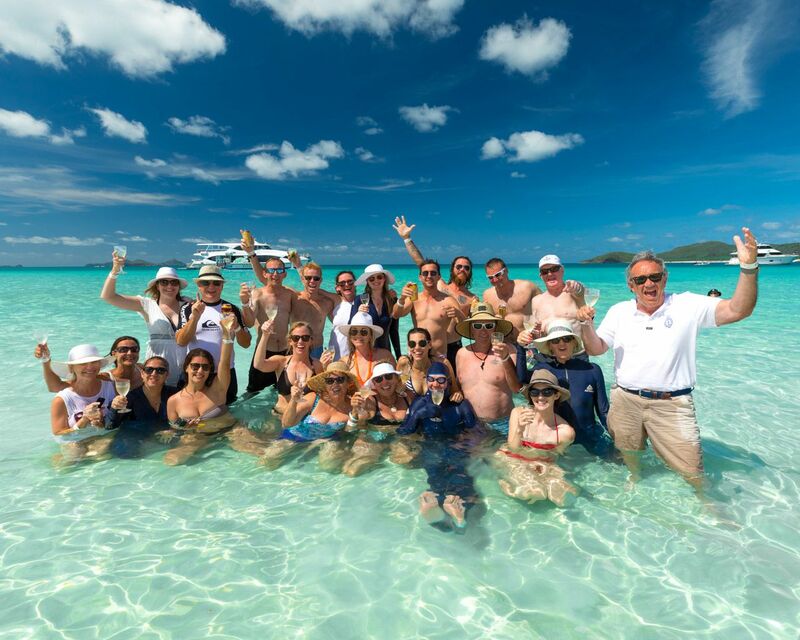 a VIP cocktail event and a once-in- a-lifetime opportunity for corporate visitors to join in a race around the Whitsunday Islands on the 70-foot, custom-designed yachts. For one crew member in particular, making landfall in the Whitsundays was very special indeed. 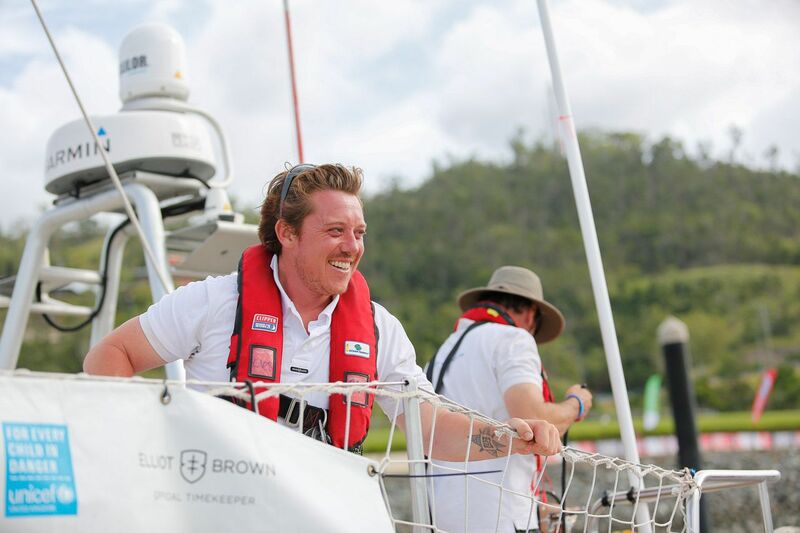 Nigel “Jack” Pemberton is an Airlie Beach local who runs the Shingley Beach Resort, where many of the support team and some crew members have been staying during the stopover. Three of the vessels competing in the Clipper Corporate Race Day. 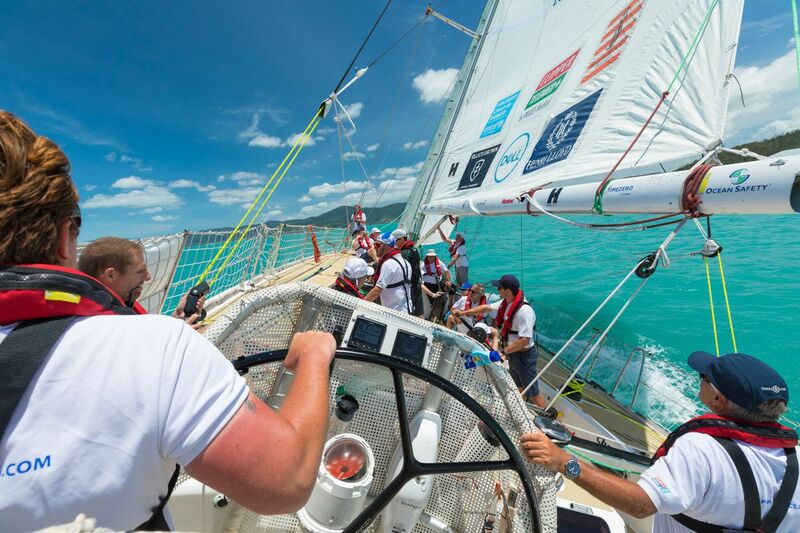 Competition ramps up at the Clipper Corporate Race Day in the Whitsundays. The race is now at the halfway point in terms of distance from its starting point in Liverpool, UK. After stops in Sanya and Qingdao in China for Leg 5, the Asia–Pacific Leg, the race will call in at ports in Seattle, Panama, New York and Derry/ Londonderry, before the big finish back in Liverpool, in late July 2018. 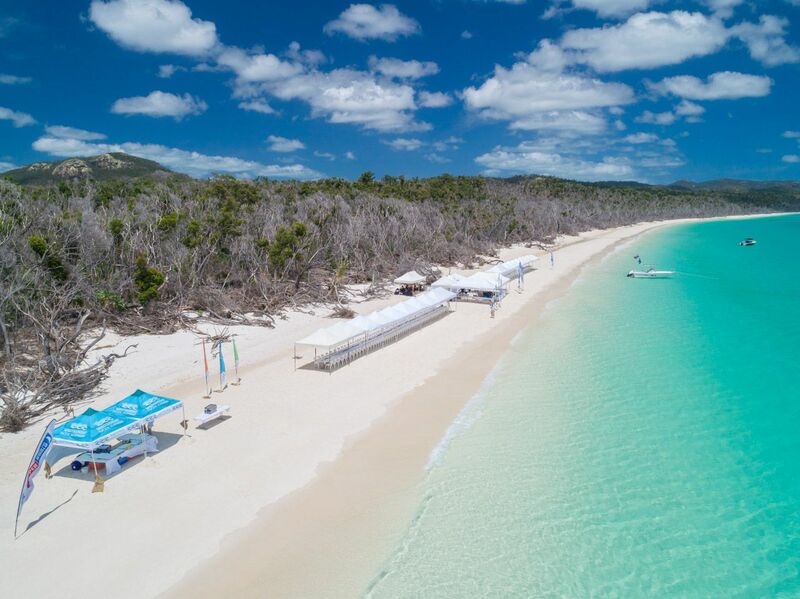 The next main event on the Whitsundays sailing calendar is the 2018 Airlie Beach Race Week from 10-16 August, which will offer racing across divisions including IRC, PHS, cruising, sportsboats, one design and multihulls. More news on the Clipper Race Facebook Live page.